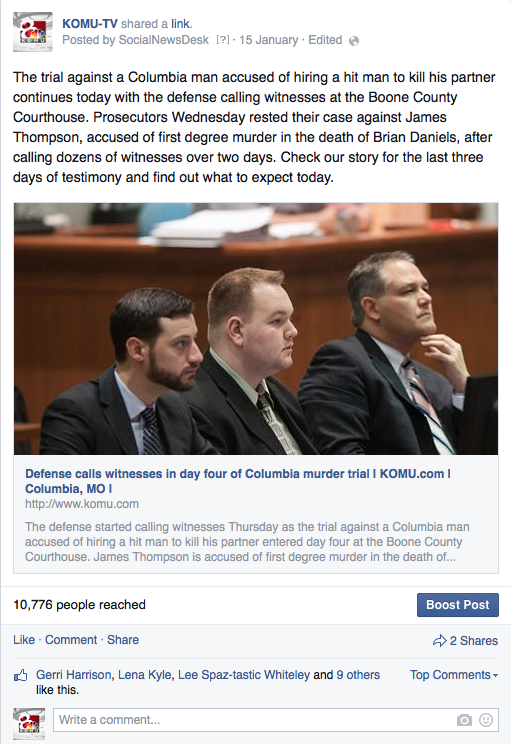 I was the main KOMU reporter for the coverage of James Thompson's trial in Columbia, Mo. The trial took an entire week and everyday I had a new and continuous feed. Click here to see the full feed. I came into the station at midnight to work on the morning show during this trail. I had two plans prepared for the morning. A story I did in advance just in case the verdict was not released and a plan for if the verdict was released. I was able to released the verdict for Brian Adkison's trial at 2:30 a.m.